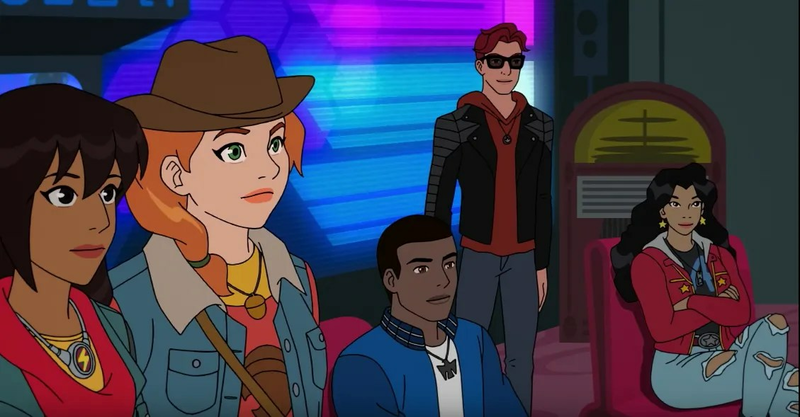 Get ready to meet a new generation of superheroes in the latest full trailer for Disney’s Marvel Rising: Secret Warriors. In Marvel Rising: Secret Warriors, powered teens Ms. Marvel, Squirrel Girl, Quake, Patriot, America Chavez, and Inferno join forces as an unlikely, but formidable crew of aspiring heroes. When a threat no one could have expected bears down on the Marvel Universe, this ragtag, untrained band of teens have no choice but to rise together and prove to the world that sometimes the difference between a “hero” and “misfit” is just in the name. Marvel Rising: Initiation and Marvel Rising: Secret Warriors are executive produced by Joe Quesada, Dan Buckley, Cort Lane, and Eric Radomski; co-executive produced by Stan Lee, Sana Amanat, and Marsha Griffin. The shorts and special were written by Mairghread Scott. Alfred Gimeno served as supervising director.